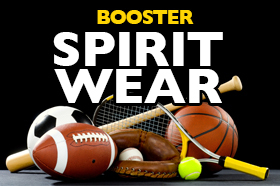 Welcome to the Boosters’ On-Line Store where a portion of the sales directly benefit our student athletes! Each piece available is customizable to a specific sport and last name. The web store is now open until October 23, 2018. Orders will be delivered to the Beachwood High School Athletic office for pick up approximately 4 weeks after the order deadline. You will receive an email when your order is at the high school and ready for pick up. All items are custom made and, therefore, non-returnable. The store will re-open December 1 to December 15, 2018; February 1 to February 15, 2019 and May 1 to May 15, 2019. Enjoy shopping and thank you for supporting the Boosters!